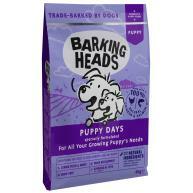 Burns Original Chicken & Rice Puppy food is designed especially to give your small breed canine companion the best possible start in life. 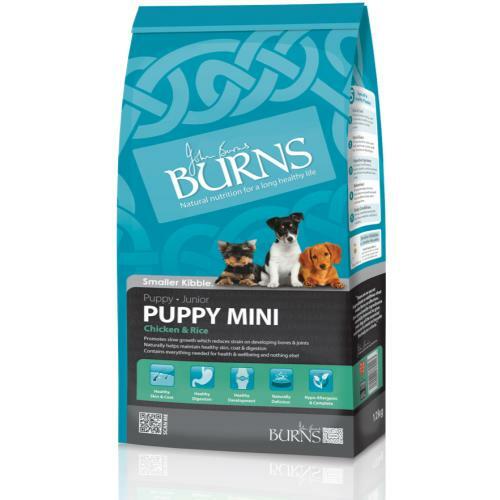 The same recipe as Burns Original Puppy only in a kibble size better suited to smaller mouths, Burns Mini cuts out common sources of irritation such as wheat, gluten, beef, and dairy, as well as artificial colours and flavours, making it highly hypoallergenic. 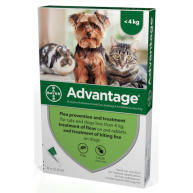 Suitable for puppies from weaning up to 9 months of age, Burns is ideal for reducing occurrences of itchy or flaky skin, stomach upsets and wind, bad breath, and excessive moulting, instead promoting the production of friendly intestinal bacteria for prime digestive function, and helping to maintain a glorious, luxuriant coat, Burns is perfect for highly sensitive dogs. 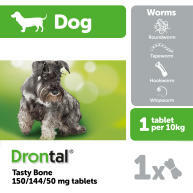 With finely balanced levels of minerals, essential fats, and protein for steady, stable growth that doesn’t put undue stress on bones and joints, Burns Original Puppy caters to your puppy’s complete nutritional requirements, whilst the content of oats provides slow release energy to help keep your burgeoning stick chaser playing all day long.